Hygienic Chicken at regular price Now @ Virugambakkam. Five star agencies newly opened their distribution and retail outlet of Caris fresh hygienic chicken at Virugambakkam recently. 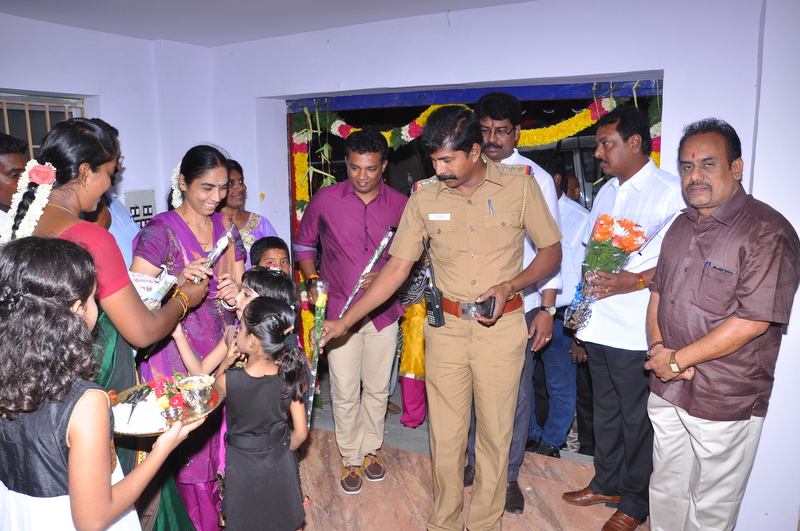 Opening ceremony done by Mr, Prince Jacob, MD, Caris Pure Processing Co PVT LTD and The first sale was done by Mr. Elangovan , Inspector of Police – Virugambakkam. The shop is located at 140, Balaji Arcade, Arcot Road, (Opp to Ware House), Virugambakkam, Chennai- 600092 . Delicious Chickens Products are available in the form of packets. All the chicken products are hygienically processed and available at competitive price. HACCP, FSIS, ISO 22000 – 2005 Safety certifications. The Caris Pure plant layout and processing line has been inspected and certified in its installation and processing capacity by ” Halal India” as meeting Halal standards. QC team performs hygienic tests of the birds before and after they are processed to ensure that each bird is in compliance with regulatory standards. Products are placed in a temperature-controlled room until they are ready to be sent out for delivery in our own refrigerated trucks. The whole bird is cut 9 pcs usually comes with breast halves with ribs and back portion, 2 wings, 2 thighs with back portion and 2 drumsticks. These are usually sold without giblets. The section between the elbow and the tip, called the wing flat or mid-joint packed in 2 kgs. This is the largest organ of the chicken. Gizzard is an organ found in the disgestive tract, constructed of thick musular walls. It is the middle and the inner segments of chicken wings. The middle segments has two bones removed and the flesh on the segments is pushed to one end of the bone. Packed in 2 kgs. The whole tender bird is cut into 2 breast halves with ribs and back portion, 2 wings, 2 thighs with back portion and 2 drumsticks. The parts may be packaged together and labeled as whole cut-up chicken. This pack is good for family of 6. Open the pack, wash well with water, the meat is tender it’s ready to cook. You can cut into desired sizes and make several dishes of your choices, the meat will be absolutely tender and tasty, and you can marinate and make your favorite butter chicken, tikkas and curries. Its yum! Start using Caris Chicken! You will never think of other products! You can make curry, tikka. Good for family of two. Just open the pack . Wash well with water. The meat is tender its ready to cook. You can make tandoori chicken and tangri kebabs! Marinate our drumsticks overnight and cover with bread crumbs deep fry them in oil. Your kids will surely enjoy the taste of your fried chicken! Selected pcs of chicken, you can make biryani, curry. Good for family of four. Open the pack, wash well with water, the meat is tender it’s ready to cook. Caris had introduced cutting edge poultry processing technology from Korea for the 1st time in India! Located just 70 km south of its sales and administration office in Chennai, Caris Pure Processing Company is utilizing the latest in modern poultry processing technology in their 11,500 sq/ft plant. Boasting a maximum capacity of 3,000 birds per hour, each bird is processed through stringent quality control and hygiene standards. In compliance with ISO, HACCP and Halal regulations, Caris is catering a vast quantity of birds to please the most demanding customers.